Why aren't there printers red-green-blue ink cartridges? I would like some well-documented articles on this because I haven't found anything comprehensive. The best I've found are this and this on Quora, and this article, which say either the color is too thick for paper to handle, or too rich to produce lighter halftones. Most others just unhelpfully delve into the distinction of "additive color model" as light-based and "subtractive color model" as pigment-based, which would make sense only if you were talking about "colored lights" and "colored pigments" as two completely separate topics. Last time I checked, yellow was in the visible spectrum, and there were definitely red pigments (I mean, if you ever dabble in art, you'd know there's at least red pastel and you can definitely use it on a white canvas). So to be as clear as day: I'm not asking for the distinction between the RGB additive color model and the CMYK subtractive color model. I'm asking for the practicality of using a set of red-green-blue cartridges as if there were an RGB subtractive model. Edit: After asking around a little more on other sites, I'm guessing we don't use red-green-blue inks because a practical red ink would have to be able to reflect yellow light and magenta light, otherwise you couldn't mix it with any other ink and it would be rendered wasteful because it could only print red. It's just that there's no such thing as magenta light, therefore there's no practical, usable red ink. To understand this we need to look at the entire system. The system consists of at least 3 parts: the observers brain, light transfer to the eye and the technical system from where it came. Central to part to how light works is in the eye transfer. If we cut corners a bit, so that we can have a discussion at a reasonable length, one can say that the human eye senses R, G and B colors. Due to the way the eye works you need to reach it with a signal of a very specific Red, Green and Blue color. Nothing else matters for the brain. This is relatively straight forward if you send light directly, like in a monitor or a led lamp. But print does not do this, what it essentially does is it removes color from a white color source with filters. So you are now not controlling the colors that reach the brain directly, your controlling them indirectly. If you now search these you get that these colors are in fact Cyan, Magenta and Yellow. This is in fact best we can do, but thats me saying so not motivating this thing in anyway. So to clear this out lets observe whet happens when you have a red color and eventually mix it with say blue. Your paper/light is white which is all 3 components together. So you remove Green and Blue. Note how this color removes 2 channels. Now Blue also removes 2 colors, Red and Green. 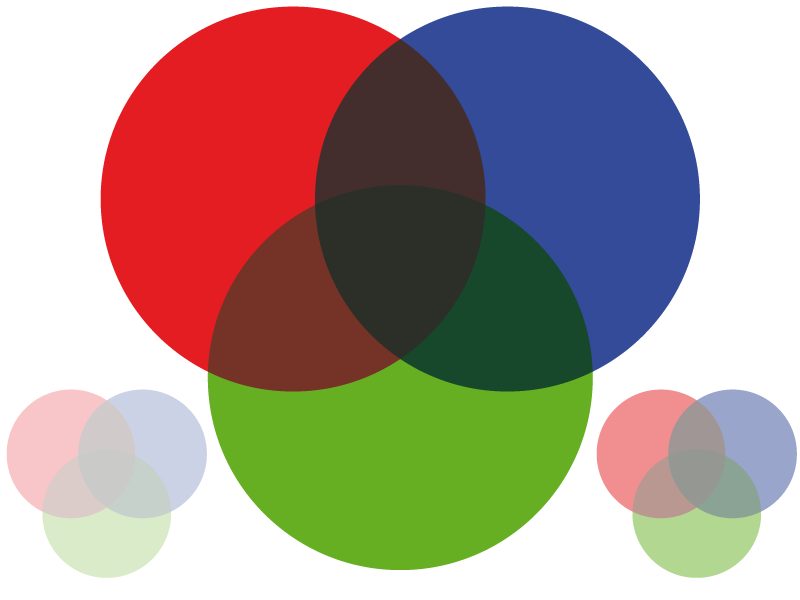 So if you assume these colors can be overlaid perfectly mixing red and blue becomes. Which results in absence of all color which we in layman's terms call black. Obviously this wouldn't really happen exactly if the pigments weren't perfect, but things would get muddy really fast and you would find it impossible to find bright intermediate colors. You see the color model is tied to the exact, best 3 color, technical system we have. And probably can ever hope to have. Remember when i said that there are 3 parts in the system, I've neglected one of them. Up until now we have assumed that the mathematics make sense. But it does not quite work that way due to physics of light. It turns out that the magenta color does not exist, except in our brain. A spectrum does not have a magenta component. See the spectrum does not wrap back up to red form the blue-violet end it just keeps going we just don't see it. So this means that Magenta is always a mix of 2 things. But before this I said that each perfect color must have the property that is only deletes one range. Well magenta can come close but can never really manage this. This is why CMY color has so big troubles in the blue-green color ranges (also slightly in oranges). Yellow and Cyan does not really have this limitation. Finding good pigments also a bit hard so the CMY color space always a bit muted and a bit limited due to technical factors. But its pretty good. But couldn't we choose another 3 colors? Well, if colors worked like any other vector entity like position and velocity for example that would be easy. But alas the human eye is a fixed target it wont help. We can not find any better 3 colors than CMY. Nothing prevents use form having more colors though so you could certainly fix most of the limitations by having 5 (adding the troublesome green and orange for example) colors plus black, or even better more. But without having negative color at our disposal, we can not do better with 3 colors on a print. Its not entirely out of the question that print might not come up with some other method than pigments. Because if it would be possible to create with print methods interference patterns, then it would be possible to make the surface send out red even if its entirely passive so it MIGHT be possible to make it work just like a monitor even if it is a reflection. Hologram tech can certainly do so to certain extent. So its not really technically totally out of the question just out of the question with current tech. To understand why printers do not use red, green, and blue ink to reproduce color from the light spectrum, you need to research CMYK printing. I'll avoid all the additive/subtractive explanation. Around 1900 a printing company first incorporated cyan, magenta, yellow, and black inks into a printing press to reproduce color. Through that company's research they discovered that using these 4 specific colors millions of other colors could be reproduced via mixing, overprinting, etc. To put it plaining, using red, green, and blue inks or pigments severely limits the actual range of colors which can be reproduced in a subtractive system such as printing. While the additive light spectrum offers millions of color for RGB, the same is not true when the three colors are used in a subtractive system. You need to research CMYK and why it's in use as opposed to trying to find out why RGB isn't used for subtractive systems. There is zero correlation between the RGB of the light spectrum and red-green-blue pigments. As the old adage states -- "You can't prove a negative" --- That appears, to me, to be what you are attempting to do, or at least asking others to do. Actually, there already exist printing systems which let you choose your colors. In screen or offset printing you can use any existing color to print something. Now lets say we'd choose red, green and blue as printing colors. We'd still have a subtractive color system (If there's more ink on the paper, there will be less light reflected. So the color gets darker.). Remember: we're still in a substractive color system. We can only recreate colors which are mixed together with the base colors. They can be lighter if you'd halftone them. But you can't reproduce yellow for example. There aren't any red-green-blue ink cartridges because the images you could print with them would be very limited. CMY are the inverse of RGB. A film negative of an R filtered image is basically the C plate. They are inverted specifically for the reason mentioned in the other answers: paper reflectivity vs. additive color mixing. It is obvious that one can use three plates inked for RGB, but the fact is, it isn't done because it is simply not commercially viable, mostly because mixing such halftones will wind up with "mud colors." CMYK is used because it can reliably reproduce a very large subset of the required color gamut without adding extra plates and costing more money. 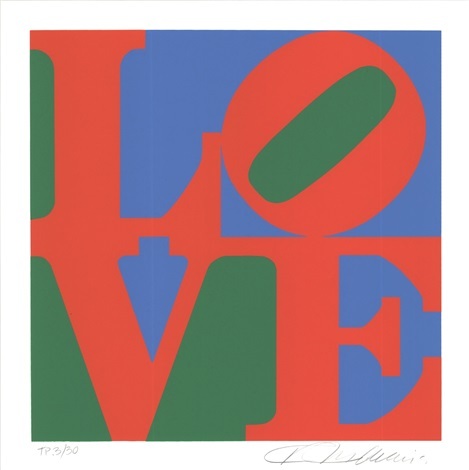 For non-CMYK printing systems, check out serigraphs and silkscreens. The 'light spectrum' from a prism is RGB. It needs a light source. That is why it is used to create monitors, TVs, phones, etc. CMYK is from the printing industry and is about 'reflective spectrum' of inks that reflect off a surface (or through if printed behind a transparency). It mimics RBG to the human eye. Look up; RGB color model. and CMYK color model on Wikipedia. I don't believe I am answering this after all the comments. Because Red, green and Blue are secondary colors. And for a printer to be able to print a richer range of colors you want to use the purest primary pigments you can find. Red, Green, and Blue ink cannot generate a full spectrum of colors through an additive process. However, there are special print processes that do use R,G,B except they are much more expensive both for paper and the equipment. Images are produced by exposing light sensitive material with RGB laser light which is then developed through the relevant chemical process. There are also companies developing new processes to update this such as Lumejet coining theirs the L-Type Print. An inkless process, the LumeJet S200 prints on 305 mm wide rolls of photographic paper, cut in lengths from 200mm to 1000mm. Using RGB colourspace, the LumeJet S200 is ICC profiled and achieves amazing colour fidelity, including hard-to-print Pantone® spot colours like reflex blue, neons, metallics and pastels, not to mention amazing blacks. Not the answer you're looking for? Browse other questions tagged color print-design color-profile color-spaces color-reproduction or ask your own question. Identify indivudual colors on a scan. Is it possible? How to apply the difference between 2 colors to another color? How can I tell basic color a hex code is closest to?